Trump and DeVos: Improving Science and History Education? It’s too soon to tell, of course, but that’s not going to stop me from wondering. Historians, science-educators, and members of the Democratic Party have all been horrified by Trumpism. But murmurs from the field suggest that Trump’s excesses are sparking a pro-history, pro-science, pro-donkey backlash. At least a little. History first. It didn’t take an expert to be shocked by some of Trump’s campaign rhetoric. Shouting about “America First,” for example, seemed to willfully ignore the tortured history of that phrase. And politics. Trump’s surprise victory had many Democratic Party faithful wringing their hands at their abject failure. If they couldn’t stop a buffoon like Trump, how could they expect to get anywhere? So maybe it’s just wishful thinking, but we’re hearing all sorts of mumbling about anti-Trump backlash. has broken through an apathy barrier of sorts. People who’d become disengaged with politics suddenly started paying attention again. My students are angry and frightened and I am humbled by the fact that most of them have only deepened their commitment to do what Trump will not: honestly explore and enact how best to live on Earth. Emails citing DeVos are raising money at a faster clip than others and driving engagement from supporters. We shouldn’t be surprised, I guess. No one was less popular in the 1930s than FDR, and he stayed in office for four terms. Nobody provoked greater animosity than Abraham Lincoln, and he got the penny. So we don’t want to overestimate the importance of inevitable anti-Trump backlash. We can’t help but wonder, though: Will Trumpism really spark a renaissance of academic history, science education, and Democratic Party politics? What should they say instead? Alabama’s famed textbook-warning stickers might be on their way out. The National Center for Science Education reported recently that new science standards in the “Heart of Dixie” make the old stickers outdated. Alabama’s textbooks have carried the warning since the beginning of the twenty-first century. New standards, though, suggest that evolution will no longer be scientia non grata in the state. So here’s a puzzler for the SAGLRROILYBYGTH: If the old stickers are out, what should new stickers say instead? Of course, smart-alecks will suggest that we leave science textbooks sticker-free. That is the smart answer, but it leaves us with nothing to talk about on a Tuesday. 1.) The language has to be readable and straightforward. No jargon. As SAGLRROILYBYGTH are well aware, I’ve been working on a new evolution/creation book with my co-author Harvey Siegel. For years now, we have wrestled with this big-picture question. In short, we want science teachers to teach evolution and nothing but evolution in their public-school science classes. But we need to help teachers, students, and families understand that learning evolution does not need to impinge on any sort of religious belief. Our simple prescription: Students need to know about it. They need to understand it. But they do not need to believe it. Students need to be able to explain intelligently what scientists think about evolution. If they choose not to accept it, that is their business. More than that: It is the public schools’ business to make sure students and families feel welcomed, whatever their religious beliefs. It is the schools’ business to encourage students to be who they are. These textbooks include information about evolution. Evolution is our current best scientific understanding of the ways species came to be different from one another. Science encourages you to be skeptical about evolution and every other idea. If you choose not to believe that evolution is the best explanation of the origin of species, you have every right to doubt it. You need to know about evolution. You need to be able to explain how scientists think it worked. You do not have to agree with these scientists. Okay, okay,…it’s a long way from perfect. Can you do better? ILYBYGTH is happy to continue our series of guest posts from Anna. In her first post, Anna described her shift from creation science to mainstream science. Today she tells us a little bit about the way she learned her creationist science as a kid. Anna blogs about her experiences leaving the fundamentalist subculture at Signs You Are a Sheltered Evangelical. She holds an M.Sc. degree in Astroparticle Physics and currently lives in Virginia with her fiance Chelsey and a cat named Cat. 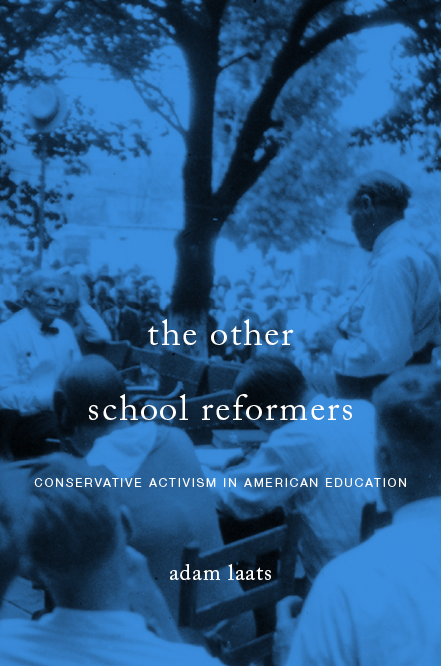 I am a conservative, anti-government-educator’s dream. Because I was homeschooled, my family had the unique opportunity to control every aspect of my education completely. Part of this included being taught with a Christian science curriculum that supported Biblical 6-day creation, denied Evolution, described scientific evidence for a global flood, and opposed modern environmental policies. When I tell my secular peers this, the reactions of shock, horror, and amazement are often rather comical. Very often, I am told that I must be remarkably resilient or intelligent to be able to make a successful science career for myself after being handicapped by my early education. As much as I’d love to accept the accolades, I simply don’t see it that way. My seemingly-bizarre education did not hamper me much at all, and in some ways, I must credit it for inspiring me to become a scientist in the first place. Although I cannot defend the inaccuracies in the curriculum, I still have fond memories of it, and I can highlight both the shortcomings and successes of the book series. My formal science education, I believe, started around age 10 or 11 (since I was homeschooled, I did not progress through formal grades, so it is sometimes very difficult for me to track the passage of time without these milestones to help.) I was started on an A-beka book, which I remember little of besides loathing. It was spiral bound with wire and the pages were made of cheap paper, meaning that they were constantly tearing out, scattering across the floor, and getting lost. Besides that, the text itself was dry, the pages were cluttered with illustrations that illustrated nothing, and the quizzes (aptly named “brain drains”) never seemed to pertain to the actual text and would often quiz you in facts only found in the illustration captions. For the rest of my pre-college education, I used Apologia‘s Christian-centered curriculum by Dr. Wile, and I loved it. Over the years, I worked through Exploring Creation with General Science, Exploring Creation with Physical Science, Exploring Creation with Biology, Exploring Creation with Chemistry, Exploring Creation with Physics, and Advanced Physics in Creation. I wish that I had a copy of some of these books still with me… especially the 1st edition of General Science and Physical Science (if anyone feels like getting me an early Christmas present… I won’t say no) because I recall those two books having the most absurdities in them. Obviously, I cannot cover all of the curriculum in detail, but I can shed some light on the divergences from science that I recall. I have to laugh now recalling that one of the books (General Science, I think) had an entire chapter devoted to attempting to validate the Bible as an accurate scientific and historical record. This would seem grossly out of place in any standard science text. For a creationist, however, it is perfectly reasonable and, indeed, necessary to discuss this in depth. I recall in my early years of college, seeing my peers and professors laugh at the absurdity of creationism. “Scientists start with evidence and draw a conclusion from it. Creationists start with a conclusion and draw evidence for it,” was posted on my professor’s office door. I felt a little defensive. “We all tend to accept conclusions that come from reputable, repeatedly-tested sources,” I thought. “If the Bible were not reputable and repeatedly-tested, then obviously accepting claims from it would be absurd, but that is not the case.” Much of my conviction on the validity of the Bible originated from the early Apologia texts. It’s important to remember that Creationists do not see themselves as anti-science… they want to find compelling evidence for their claims. As a result, I waded through a chapter discussing the accuracy of Bible translations, similarities between different Biblical manuscripts, refutations of Biblical contradictions, etc. The purpose of this was to prove that the Bible could be reliably used as a basis for scientific theory. To exclude this chapter would be grossly negligent if claims in the Bible are indeed the basis of your theory. Even so, the whole conversation bored me; I wanted to learn science. The Physical Science textbook spent an inordinate amount of time condemning modern environmental policies as fraudulent. I recall the book passionately opposing the ban on CFC’s, claiming that the ozone hole was a scare tactic used by politicians to promote a hysterical agenda, and predicting that people would suffer from increased rates of infection now that medical tools could no longer be sterilized by the chemical. These political discussions now irritate me more than any of the other inaccuracies in the books. I had been raised when I was young in a very rural area and had developed a great love of nature. I was fiercely protective of the environment, and all of the flora and fauna in it. I wrote an article to my local newspaper about reducing litter when I was 11 years old or so which I was very proud to see published. As such, it angers me in retrospect that I was taught so many lies about proper stewardship of the environment and that I believed them for so long. I have never fully understood why Christian Fundamentalism is so opposed to environmental protection, and yet it seems to be a common theme. Apologia science chose to start kids on that path early. The Biology text book focused on disproving Evolution. Of course. In all honesty, as silly as 6-day-creation seems to me now, my Bible-based text book really did not deprive me of a decent education on evolutionary biology. Because of the sheer amount of information I was provided with to refute Evolution I came away with a pretty darned good understanding of it. I disbelieved it, of course, but once I came around to accepting true science, I was no further behind in understanding than any of my secular peers. This is why the shock-and-horror response to my anti-evolution education makes me chuckle a little. If one truly wants to argue effectively against an opponent, one must know his position at least as well as he does. Thus, I truly believe that my anti-evolution text served me surprisingly well. Now that I’ve discussed all of these lies, distortions, and absurdities, you might wonder how I can have a favorable memory of Apologia at all. Well, for one, the books were very well written. Their style was conversational, without sacrificing content. The illustrations were meaningful and placed sparingly to complement the text, rather than cluttering the book. Learning felt like learning… like you were truly on a road to discovery, rather than simply memorizing information for a test. And, perhaps most awesome of all, if you emailed the author, he would email you back within 24 hours. If I ever found myself confused by a concept or curious about some theory, I would write to him and eagerly await his response. He was always friendly and informative with his replies. Perhaps my enthusiasm over this simple email contact seems exaggerated but, remember, I was homeschooled. I was almost entirely in charge of my own education by the time I reached higher sciences. My mother did not have the education to help me in science or math, and none of the other homeschooling moms in my group were any better. Whenever I was uncertain about something, I would have to figure it out myself. Thus, having an authority figure to direct my questions to was amazing. I felt like I was talking to a celebrity. My childish enthusiasm aside, I think that it also highlights Dr. Wile’s admirable dedication to education. It meant a lot to me at the time, and I still think back on it fondly. Dr. Wile was one of my inspirations to become a scientist. I loved his enthusiasm for the subject, I loved his dedication to the students using his books, and I wanted to emulate that. Honestly, I still do. As an instructor, I strive to let my enthusiasm show, to infect others with it, and to always make myself available to my students for questions and assistance. But what about the science-denial? It is still a bit difficult for me to look back on authority figures and members of my community that I looked up to and respected and wonder: are they just ignorant, or are they purposely deceptive? How can a scientist be completely honest with him- or herself and still make the claim that ALL evidence points to a 6-day creation, without question or doubt? I give myself a lot of grace for my early ignorance because I was young and had little access to any information outside of the pre-approved worldview that I was being fed. But creationists like Ken Ham, Dr. Wile, and others have no such excuse. So, without being able to see inside their minds, can I offer them the grace of assuming that they are truly honest in their seeking and have just been misled? I think the answer is both yes and no, and it is greatly complicated by a wide array of cultural factors involved in the creation/evolution debate. In order to begin to tackle this, I need to first discuss the factors and pressures that surround a creationist belief in the first place. For that, however, you will have to wait for the next installment. Posted in Child Parent State, Evolution/Creation, What is school? How do creationists do it? How, that is, do creationists manage to maintain a belief in a 6,000-year-old earth and a real global flood? How do they get their children to believe that all of humanity sprang from two people in Mesopotamia a few thousand years ago? To outsiders like me, such beliefs seem so far outside the mainstream that I have a hard time understanding how creationists manage to stay convinced. One thing that must help is an array of institutions to support young-earth creationist ideas. It is easy enough for a family to raise children in that tradition, attending schools, reading books, and going to museums all safely within the intellectual boundaries of young earth-ism. Science-education guru Randy Moore took a trip to a creation museum to describe one way this can work. In the just-released issue of Reports of the National Center for Science Education, Moore describes his trip to the Creation and Earth History Museum, just outside of San Diego. The museum was founded in 1992 by the Institute for Creation Research. It has since been sold, but its new owners continue to operate it according to ICR beliefs. Don’t confuse it, by the way, with the much larger and more lavish Creation Museum just outside of Cincinnati. The young-earth beliefs of the two may be very similar, but Answers In Genesis’ Cincinnati museum looks and feels much more like mainstream science museums. Still, for those who can’t make it all the way to Cincinnati, this San Diego attraction might achieve many of the same goals. Moore walks readers through those beliefs in an even-handed and explanatory way. Moore does not try to critique the science or religion on display. Instead, he offers a much more useful blow-by-blow description of the kinds of ideas museum-goers will encounter. What does this group of young-earth creationists believe? The museum demonstrates the unreliability of radiometric dating and the voluminous evidence for a real catastrophic global flood. Believers might find reassurance that the best scientific evidence supports their beliefs, regardless of rumors they may have heard to the contrary. If you’re looking for mockery and witty barbs about the bad science on display, you’ll need to go elsewhere. Moore has a different aim: to inform other science educators of the kinds of information young-earth creationists might be exposed to. As always, Moore’s approach is the right one. Mainstream science educators don’t need to hear another attack on the scientific demerits of young-earth creationism. What evolution educators do need to receive, in massive doses, are unbiased glimpses of the worlds outside of mainstream science. Without understanding creationism and creationists, mainstream science and mainstream science education will make little headway. For those who can’t afford a trip to a creation museum themselves, Moore’s travelogue will be a handy introduction. Teaching All Students about Evolution promises to train teachers to seize the middle ground in the evolution culture wars. 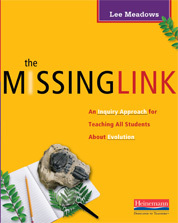 It offers practical and specific ways to teach evolution to students who come from anti-evolution backgrounds. discussion from combat in classrooms to education. The essence of Meadows’ strategy is nothing new to teachers. He hopes to use an inquiry method to allow students to wrestle with difficult questions that might challenge their religious faiths. By using student inquiry instead of teacher-led direct instruction, Meadows hopes to have science teachers avoid the charge of evolutionary indoctrination. Students can gain an authentic understanding of central questions of evolution and science without feeling that such notions have been imposed by a hostile ‘secular humanist’ school. classes. When teachers, schools, and students can pull it off, it is a powerful and effective way to learn. Of greater promise to the continuing controversies over evolution education, however, is Meadows’ sustained tone of caring for all students, regardless of their backgrounds. It does not approach student creationist beliefs as a problem for science teachers to overcome. Instead, it recognizes those beliefs as part of the young person for whom the teacher is charged to respect, care for, and educate. Meadows’ approach will earn him some flak, inevitably, from both sides in the creation/evolution debate. Some mainstream scientists will undoubtedly protest that students should not be allowed to decide if they will accept evolution after they learn about it. To many evolution-believers, that makes no more sense than asking students to decide if they believe in the Pythagorean Theorem. From creationists, on the other hand, I can imagine Meadows will come under fire for teaching evolution as true, as fact. And more, creationists might object that Meadows’ suggested methods simply sugarcoat evolution by pretending to care for creationists’ beliefs. Better, some creationists might say, to honestly attack those creationist beliefs rather than to sneak in evolution education under false pretenses. I can imagine creationists objecting that Meadows’ distinction between guaranteeing that students KNOW evolution but allowing them not to BELIEVE it is a false one. It would never be suggested for other subjects. For example, it is hard to imagine knowing that 2 + 2 = 4 without believing it. And how could my child learn and know how to identify an indirect object without believing it? scientists who want to see more authentic evolution education in American classrooms. It is a tall order, but Meadows’ work promises something for everyone in this moderate middle. For a taste of Meadows’ approach, you can read a chapter of his book at his publisher’s webpage.